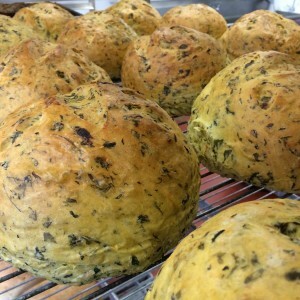 All of our breads are made with the freshest ingredients. We use unbleached/unbromated King Arthur flour for our white (all-purpose flour). Our wheat breads are made with Montana Wheat that is certified chemical free and GMO free. We buy our wheat and spelt berries whole and grind them in the bakery several times a week. Our Great White, Honey Whole Wheat and Sour Dough are available every day! 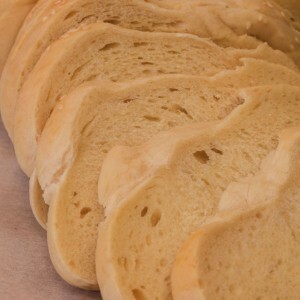 We make a wide variety of specialty breads every day. Check out our menu to see what bread we make on what day. 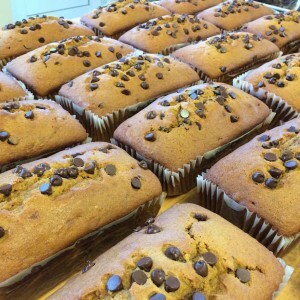 Our famous Pumpkin Chocolate Chip is made every day along with several other types of sweet breads.